This is the fourth entry in a series about vote compensation in Vivint Gives Back. Here are entries one, two, and three. Helen Watkinson made a video of herself completing one of the gWallet/RadiumOne Social offers on July 16th. She sent this to Vivint. To be sure the offers continued to work, as much as it pained her to do so, on July 15th she voted for Conejo Valley Friendship Circle via an offer that promised 5 cash, and on the 16th via one that said it’d give her 2 FooDollars. Both times the offers seemed to complete, but didn’t deposit the promised currency. 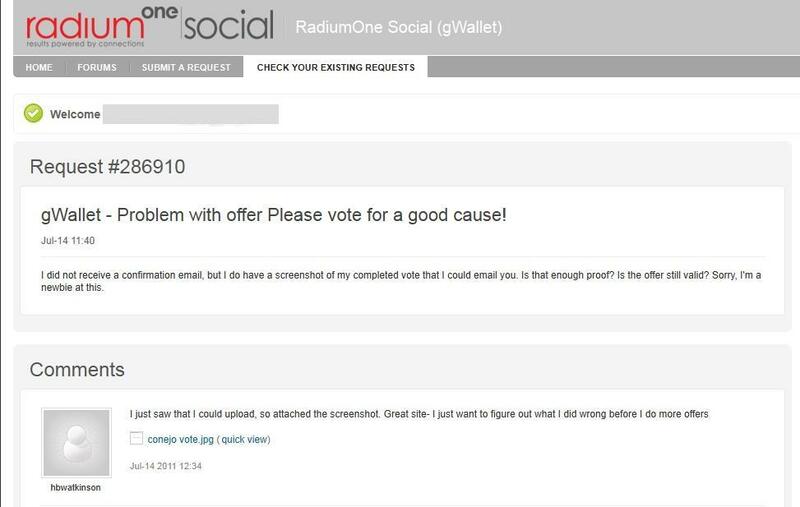 Today, July 18th, she received a reply from RadiumOne Social. They looked into the matter and awarded her the credit she’d inquired about on the 14th. I think she’d have to submit the form separately for the other offers to get her credit for those. 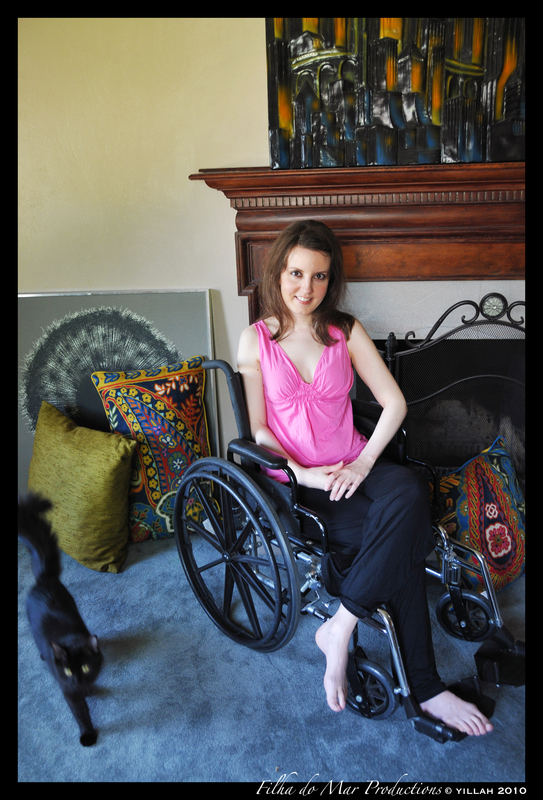 If you’d like to see the page as a whole, click here. 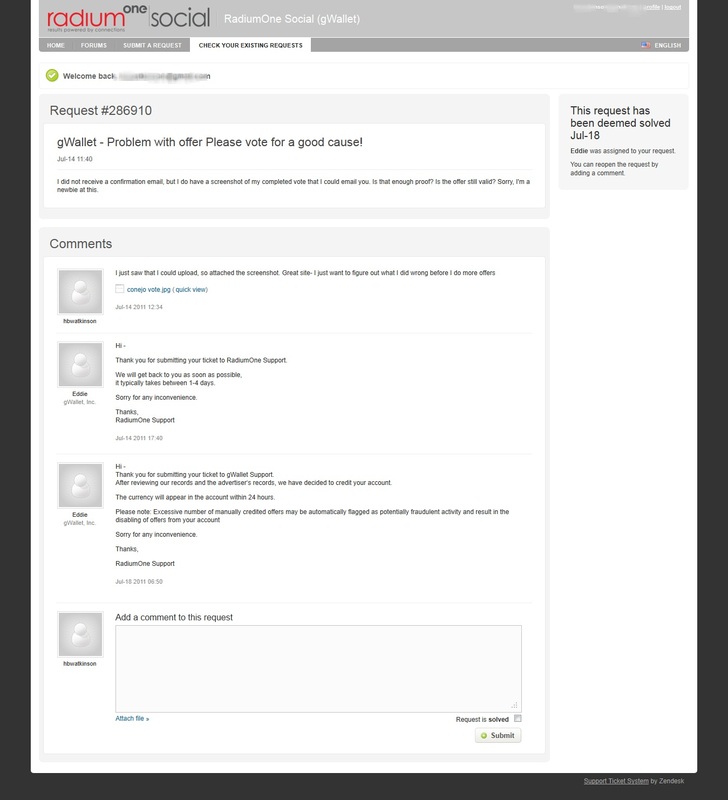 Neither of us know why the offers didn’t pay out automatically, nor do we know what pieces of information gWallet reviewed in order to make the decision to pay her. Finally, SpecialK82, who was helpful enough to make that graph of WPI’s and Conejo’s daily vote totals for us, has sent along the data behind it to me so that I could continue to maintain it. In order to make it easy to access, I’ve posed it as a publicly-viewable, write-protected Google Spreadsheet. You can find it at this link. I figured this was the easiest way for all of us to stay (literally) on the same page as the contest progresses. This entry was posted in Contests and tagged cheating, contests, Vivint, vote, voting, WPI. Bookmark the permalink. Thanks for keeping on top of things, Jocelyn!